[Jesus said,] "If you love only those who love you, why should you get credit for that? Even sinners love those who love them!" Jesus has just given us the golden rule in the previous verse (Luke 6:31). Now he wants to make clear that the golden rule is not just a principle to practice with people we like and people who treat us nicely. 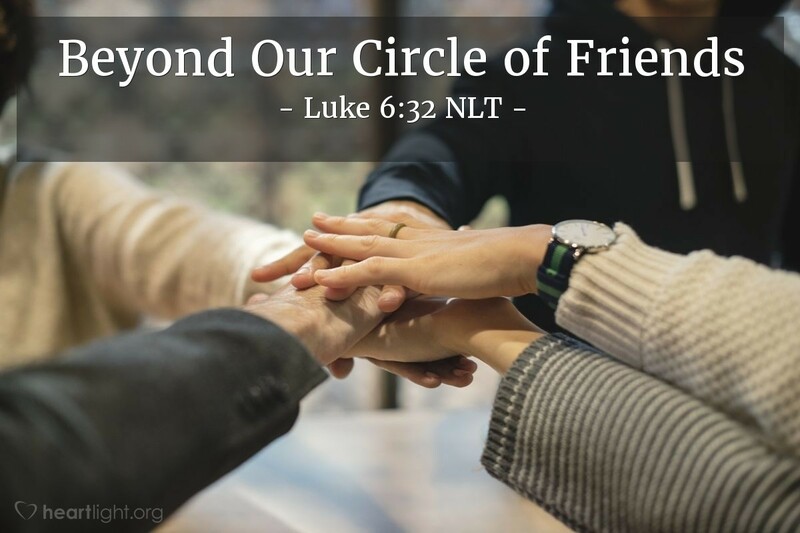 It is a principle to use with all people, even our enemies (Luke 6:27-28)! Just as God loves all people, he calls on us, his children, to do the same. Holy and righteous Father, the true and living God of all nations, mold my heart by your Holy Spirit and fashion it into a vessel that is filled with your love for all peoples. Break down the walls of prejudice, pride, bitterness, arrogance, malice, and ethnocentrism that can produce unholy barriers to your love operating through me. In Jesus' name, I pray. Amen.